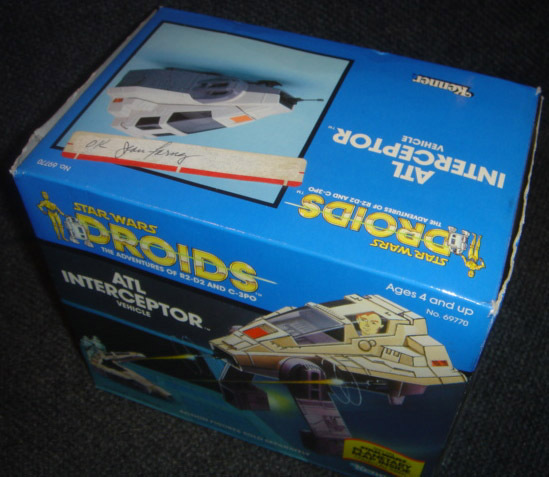 This Droids ATL Interceptor is referred to as a Quality Assurance/Quality Control (QA/QC) sample. Carded figures and boxed vehicles/playsets of this nature are utilized for approval to determine if the final product meets specific criteria in terms of packaging quality, etc. The small label containing a signature is affixed to the upper box face. 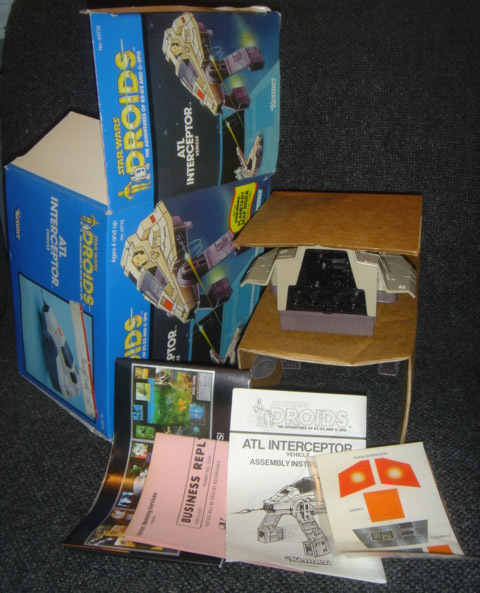 The second photo shows the contents of the box.